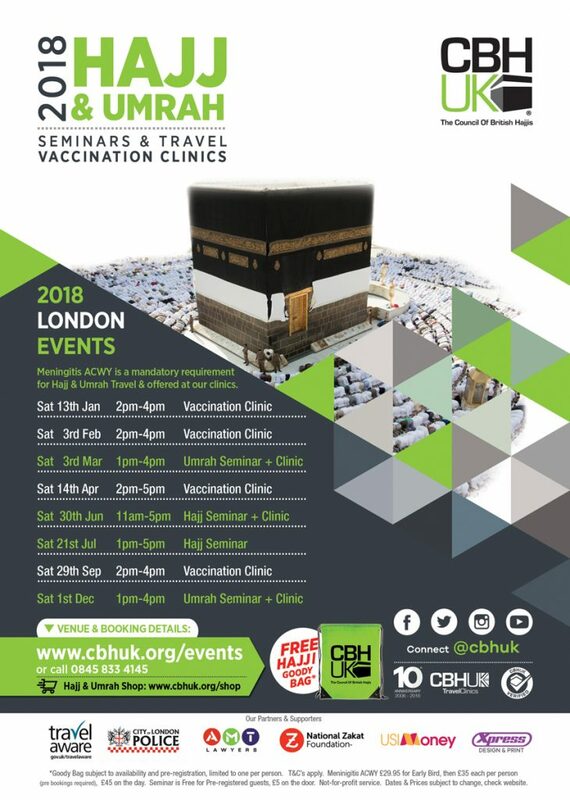 If your going to Umrah in 2018 or even Hajj then you will need a ACWY Vaccination Certificate when you submit your passport for a Visa. CBHUK has been holding Vaccination & Travel Advice Clinics for over 10 years all over the UK with Volunteer Health Professionals. A Meningococcal (ACWY) vaccination and certificate is a mandatory visa requirement for those travelling for Hajj and Umrah. 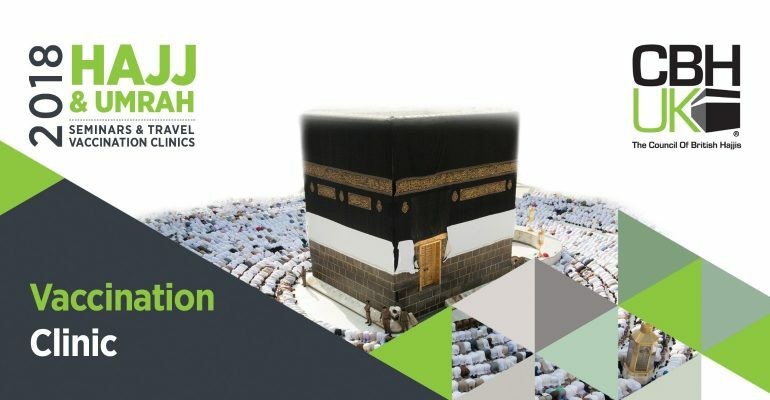 If your planning to go Umrah (or Hajj) then you will need a Meningitis ACWY Vaccination & Proof of immunisation in the form of a certificate when you submit your passport for an Umrah Visa. The vaccinations are administered by our medical practitioners and a FREE vaccination certificate will be issued. The vaccination certificate is valid for a period of 5 years. This is a not-for-profit service which has been running for over 10 years. The London Clinic is been held at the National Zakat Foundation Headquaters in Fieldgate Street, London. The Venue is located behind the East London Mosque & London Muslim Centre in Fieldgate Street.